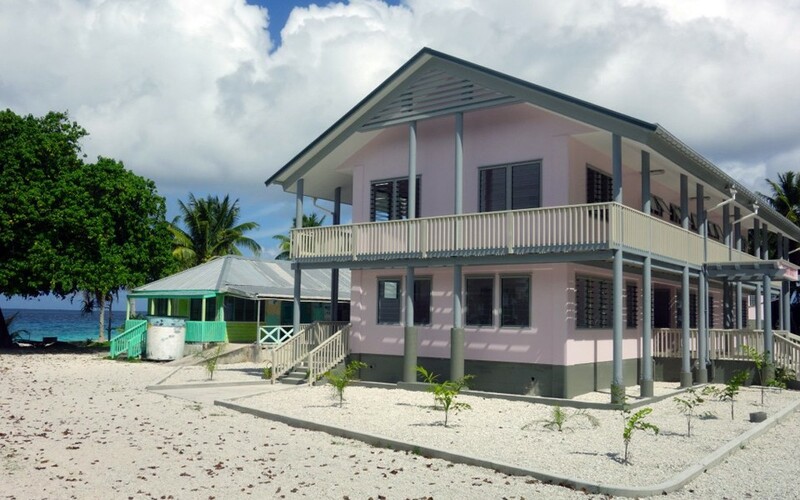 Climate change as well as better health care for the people of Tokelau drove this NZAid project design by Aonui in conjunction with CPG engineering consultancy. Tokelau is one of several Pacific nations seriously threatened by the 0.75m sea level rise predicted in this century. 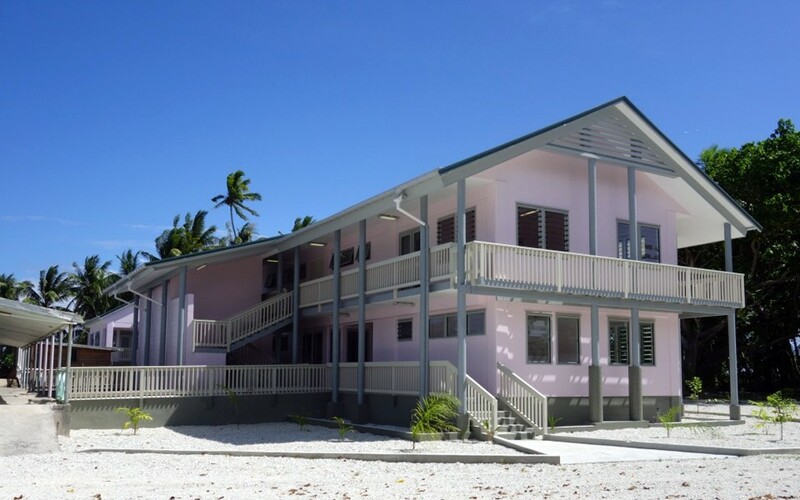 The concrete-framed community medical centre on Nukononu atoll combines out patient consultation, pharmacy, maternity, and surgical facilities. It has a large storage tank as its ground floor foundation but is still, like the rest of Tokelau, only 3m above mean sea level. Recurrent cyclones wash storm surges right across the atoll and so the most valuable equipment and records are located on the upper floor along with ample space for community refuge. Nukunonu atoll is just 10° S of the equator. The roof contains PV cells to augment power generation on the site. The design utilises passive solar cooling – all concrete structure is sheltered from direct sun through the hottest part of the day by large eaves so the night time trade wind cooling effect is harnessed for daytime heat sink effect. 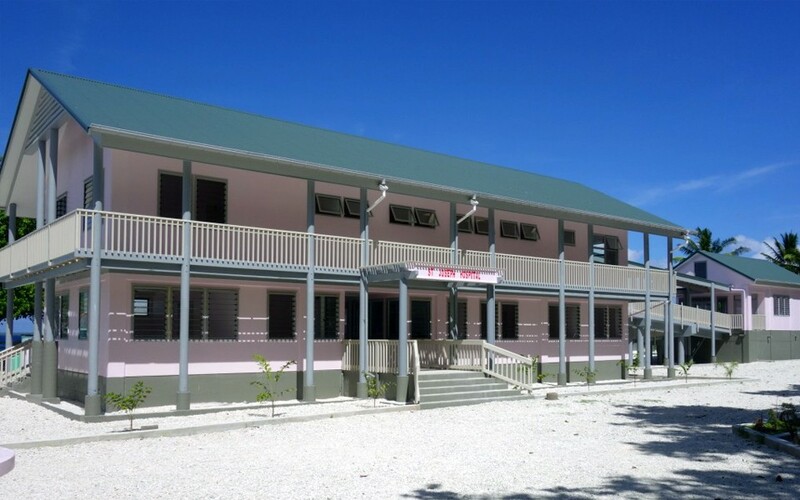 St Josephs is the first of three planned medical facilities in Tokelau. Atafu and Fakaofa atolls – each 4 hours by ship apart and with no air services available – will both have similar hospitals.